This is section 4 of the 1990s catalogues. It was published in 1994 and contains all the models released in 1993. The page numbering continues from section 3. 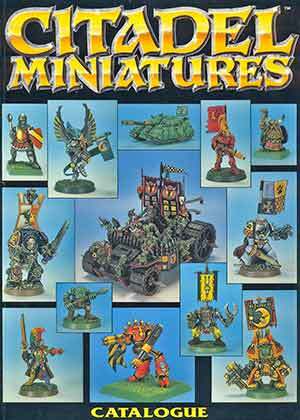 The catalogue also contains Marauder miniatures, but no longer in their own section. High Elves, Dwarfs and Skaven have miniatures identified as Marauder, but not Undead or Chaos Dwarfs.